You can rely upon us to provide you with quality, highly reliable legal advice with a very personal touch. We base our approach on a set of characteristics that we know are important to you, and these characteristics define our work: clear, affordable, tailored, personal and impeccable. 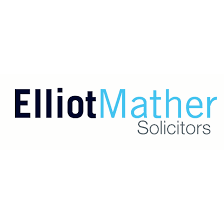 As one of the biggest law firms in Derbyshire and North Nottinghamshire, we can provide you with access to a comprehensive range of legal services – whether you are a business, entrepreneur, individual or family, throughout the region and beyond.